The Bible — The Holy Scriptures, The Book of Yahweh — Banned? Isayah 34 was written in the year 713 BY (Before Yahshua). Out of fear of the Vatican, the Roman Catholic Church, and their penalty of death, the Name Yahweh was replaced with the title ‘Lord’ in the King James and other versions. These versions were then sold to the public, with no explanation of the change. The public had no idea that they were not getting a copy of the original Scriptures. ROME, Jan 22, 1998 (Reuters) – The Vatican permitted scrutiny of one of the most notorious periods in Roman Catholic Church history on Thursday when it opened the archives of the department once known as the Inquisition. Scholars now will be able to study cases such as that of the astronomer Galileo, condemned by the Inquisition for claiming the earth revolved round the sun, and Giordano Bruno, a monk burnt for heresy in 1600 in Rome’s Campo dei Fiori square. Vatican officials say the secret files, dating between 1542 and 1902, will yield precious few juicy secrets — the Church officially rehabilitated Galileo in 1992, for example. But the archives do contain some surprises. Opened on Thursday alongside the Inquisition archives was the infamous Index of Forbidden Books, which Roman Catholics were forbidden to read or possess on pain of excommunication. They showed that even the Bible was once on the blacklist. Translations of the holy book ended up on the bonfires along with other “heretical” works because the Church, whose official language was Latin, was suspicious of allowing the faithful access to sacred texts without ecclesiastical guidance. One Vatican official, Father Pagano, was one of few figures allowed into the archives when he was sent, on the Pope’s orders of to collect the documentation referring to the Galileo case. He told the Italian newspaper La Stampa last week that the archives of the Inquisition and Index, housed in two rooms, had suffered badly down the centuries and were now “modest.” Pagano said the Church had a tradition of burning many of the most delicate heresy files and the Inquisition’s archive was almost entirely burned on Pope Paul IV’s death in 1559. The documents were hauled off to Paris under Napoleon’s rule in 1810 and Pagano said more than 2,000 volumes were burned. Some fell in rivers during transit, others were sold for paper or became mixed up with other files. The Vatican said the archives now held around 4,500 volumes, of which only a small part referred to heresy trials. The rest detail theological controversies and spiritual questions. Canon 1. We appoint, therefore, that the archbishops and bishops shall swear in one priest, and two or three laymen of good report, or more if they think fit, in every parish, both in and out of cities, who shall diligently, faithfully, and frequently seek out the heretics in those parishes, by searching all houses and subterranean chambers which lie under suspicion. And looking out for appendages or outbuildings, in the roofs themselves, or any other kind of hiding places, all which we direct to be destroyed. Canon 6. Directs that the house in which any heretic shall be found shall be destroyed. 1229 – The Inquisition of Toulouse imposed by Albigensian Crusaders forbids laymen to read the Bible. ITEM #3 THE council of tARRAGONA – 1234 A.D.
William Tyndale completed a translation of the New Testament from the Greek in 1525, which church authorities in England tried their best to confiscate and burn. After issuing a revised edition in 1535, he was arrested, spent over a year in jail, and was then strangled and burned at the stake near Brussels in October 6th, 1536. It is estimated today that some 90 percent of the New Testament in the 1611 King James Bible is the work of Tyndale. Tyndale was unable to complete his translation of the Old Testament before his death. A prologue in the second book of Moses, called Exodus. A prologue in the third book of Moses, called Leviticus. A prologue in the fourth book of Moses, called Numeri. A prologue in the fifth book of Moses, called Deuteronomy. Can. 825 § 1. Books of the Sacred Scriptures cannot be published unless they have been approved either by the Apostolic See or by the conference of bishops; for their vernacular translations to be published it is required that they likewise be approved by the same authority and also annotated with necessary and sufficient explanations. To understand why a religion, such as the Roman Catholic Church, would do such an evil thing, you need to understand where the word Lord comes from and to whom it refers when you pray. Unger’s Bible Dictionary gives us that information. The word Lord means Rabbi. They call it deification. When an honored king, priest or pharaoh, and now pope, or even some of the less popular but well-thought-of died, the teaching is that they really don’t die, but go to heaven; and some of them, under certain ceremonies, can and will answer prayers, so try your luck. The Scriptures, written by the Prophets of Yahweh, are said to be inspired. Indeed, the Prophecies in The Book of Yahweh prove that to be True, because the Prophecies, written over the period of man’s history up to this time period, this generation, have come to pass. It’s a fact that no man or woman has the power to foretell future events. You do not know, nor can you accurately tell, what will occur to you in the hour ahead. The only Being Who claims that power and has proven it’s True, is the Creator, Who calls Himself ‘Yahweh’. The only reason for the earth, the heavens that govern the earth and mankind existing upon the earth is shown in Scripture to a time of creation, which is so perfectly outlined in The Book of Yahweh. Nothing exists that has ever proven those facts wrong. The flood and the survival of one family are also factual and have been proven by the evidence of the earth itself, and the DNA of mankind, proving from whence we came. Yahweh’s Prophets were inspired, as shown in The Book of Yahweh, to foretell the fall of mankind. They foretold of Yahweh’s 6,000-year Plan, from the beginning to the time when Salvation and a place in His Kingdom will be made possible. This Plan will be accepted by everyone alive after the prophesied nuclear wars. These wars were foretold to take place in this generation, thousands of years before this generation, as well as the cause. It’s so amazing and so timely that Yahweh inspired His Prophets to write about the seven-year peace plan for this generation only. This peace plan would be confirmed with a man named Rabin of the land of Israyl. I saw and understood this Prophecy and wrote about it in my book, called The Mark of the Beast, in the 1970s. I published this book in 1985. The Prophecy did not come to pass until September 13, 1993. Rome, Italy, May 18, 2017 / 03:04 am (CAN/EWTN News) – At the center of the first joint exhibit between the Vatican Museums and the Jewish museum in Rome is the Magdala Stone, a large decorated stone block from a first century Galilean synagogue which has shed light on synagogue worship before the destruction of the Second Temple. In today’s news we see the Prophecy being fulfilled that Daniyl wrote in Daniyl 9, speaking of the seven-year peace treaty that was signed on September 13, 1993. Daniyl shows in the last 3½ years of this Prophecy, the man of sin will sit in the rebuilt temple, showing himself to be “better” than the Creator and the Savior. Today’s talk about rebuilding the temple is shown in the news. Notice the present dates. WASHINGTON — With June marking the 50th anniversary of Israel’s reunification of the capital city of Jerusalem along with the Temple Mount, the Israeli government is considering a proposal to create a new foundation responsible for providing “research, information and advocacy” about the Jewish connection to what many consider the holiest site in all of Judaism — the place where the Temple stood until A.D. 70. Trump planning to launch new round of talks during his upcoming visit. 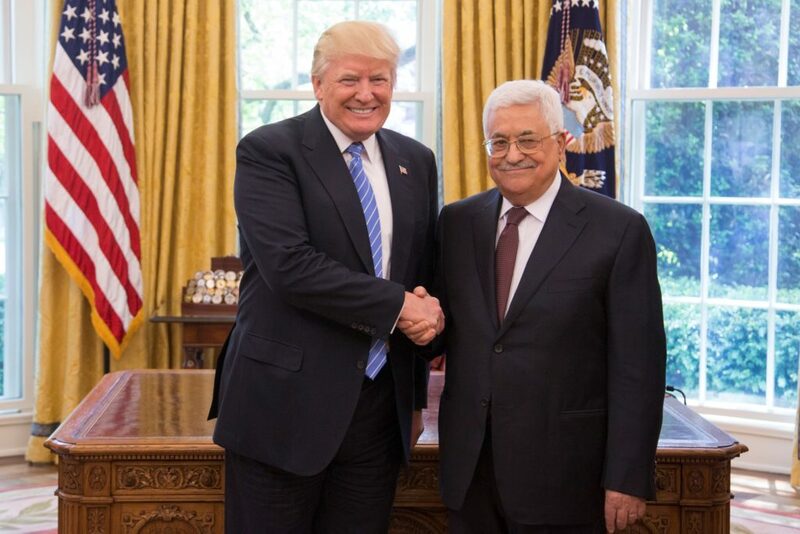 Palestinian Authority President Mahmoud Abbas has crossed the Rubicon and voiced “unprecedented” readiness to reach a peace deal with Israel, sources close to the efforts to renew talks between Israel and the Palestinians have told The Jerusalem Post. Yahweh inspired His Prophet Daniyl to write the Prophecy of the seven-year peace plan in the year 538 BY (before Yahshua). That Prophecy is an absolute fact that the Being who named Himself Yahweh, does exist and is in full control of bringing about His creation of mankind in His Likeness and Image. They will be used to bring about a peaceful world. I urge you to read the details of this historical event that was written in my book, The Mark of the Beast, Volume 1, years before it was signed. This could not be by accident that all these Prophecies were written, and then years later come to pass in detail. You being here is part of a Plan, a well-governed Plan. Verse 13 is important, yet most people read right over it and stay deceived their whole life. Notice the words “begotten not of blood” in verse 13. So, this begetting is not at all of blood, the likes of which human babies are all begotten and born. Also, notice the words “nor of the will of man” in verse 13, meaning no person is or can be begotten by Yahweh just because a mother, father or preacher desires them to be begotten of Yahweh. So, how is one begotten of Yahweh for the purpose of becoming a member of the Greatest Family or Kingdom of the universe? Verse 12 is the answer, the word rendered received, but the actual meaning is shown in Thayer’s Greek Lexicon and Gesenius’ Hebrew And Chaldee Lexicon, both of which are shown in the side reference of The Book of Yahweh. …acknowledge as the One spoken of in Prophecy, yield in obedience, to take a thing due according to agreement or unity or Law, in order to obey Him, to believe the teaching. Satan has many works but doesn’t seem to admit to any of them; however, Prophecies foretell her moves and her religions. Yahweh shows His seven different Works by His Prophets and even says, Yahweh will have no other Work except those seven prophesied Works. He tells the reader to seek the Place where He chooses to place His Name. The Seventh and Last Work is for these Last Days, and there you will find the name ‘House of Yahweh’. Remember the definition of the Greek word rendered received in Yahchanan 1:12, and you have the Unity and Laws begetting as you repent of past sins and begin to convert to Yahweh’s Righteousness. Again, we read the Savior’s Words. Notice the phrase “I come quickly” in verse 12. Verse 16 shows Yahshua’s Work in that time period. We’ll, see the same time period of Yahshua’s coming and the end of the evil rulership, evil like the Gods. Notice: evil like the Gods, bringing war and fighting. Did you notice continual wars? You just read the way to Salvation. The next step is coming into unity with the One Sent by practicing Yahweh’s Laws of Righteousness. 18 And I also say to you who are Kepha: That upon this 1aRock, YAHWEH UNITY; I will build this house; family: 1bThe House of Yahweh, and the gates of sheol (hell) will not prevail against it. 19 And I will give the 2aknowledge; the Teachings of the Law and the Prophets, of the Kingdom of Yahweh to you, and whatever you will 2bdeclare to be unlawful on earth will be that which has been 2b declared to be unlawful in heaven, and whatever you 2cdeclare to be Lawful on earth will be that which has been 2cdeclared to be Lawful in heaven. Notice the reference 1a from the bottom of the page in The Book of Yahweh. 47 Yahweh lives! Blessed be my Rock! May Yahweh be exalted, The Rock of my Salvation! Now, notice references 1b, 2a, 2b and 2c. For we are the laborers together of Yahweh; you are the tillage of Yahweh, The House of Yahweh. 7 And I will shake all nations, and the most desired things of all the heathen will come; and I will fill this House with glory, says Yahweh our Father. 8 The silver is Mine, and the gold is Mine, says Father Yahweh. 9 The glory of this latter House will be greater than the glory of the former, says Father Yahweh; and in this place I will give Peace, says Father Yahweh. 2a. Mattithyah 16:19 _ Greek root kleio. Traditionally translated keys. The Analytical Greek Lexicon by Harper, page 232, shows this word actually means the entrance into knowledge. 2b. Mattithyah 16:19 _ Greek root duo. Traditionally translated bind. The Analytical Greek Lexicon by Harper, page 89, shows this word is correctly translated to declare to be unlawful. 2c. Mattithyah 16:19 _ Greek root luo. Traditionally translated loose. Thayer’s Greek Lexicon, page 385, shows this word is correctly translated to declare lawful. Sermon given 11-24-90. Unity with Yahweh comes by us all practicing Yahweh’s Perfect Righteousness. This is the key to the Kingdom of Yahweh. Behold, how right and how pleasant it is, for brothers to dwell together in unity; to be one with Yahweh, a unit, alike, with the same mind and thoughts; all in one accord. Endeavoring with utmost diligence and zeal to keep the unity of the Spirit in the bond of Peace. 3 Endeavoring with utmost diligence and zeal to keep the unity of the Spirit in the bond of Peace. 6 Yahweh is One and Father of all, Who is above all, and through all, and in you all. This whole chapter is speaking to the Pharisees, Sadducees, Essenes and Herodians—the children of the Coptic Catholics, who had been led out of Egypt by Mosheh. The Coptic Catholics do not worship Yahweh; they hate Righteousness. 1 When the people saw Mosheh delayed coming down from the mountain, the people gathered together around Aaron, and said to him; Come, make us a God (el) who will go before us. As for this fellow, Mosheh, who brought us up out of Egypt, we do not know what has become of him. 2 Then Aaron said to them; Break off the golden earrings in the ears of your wives, your sons, and your daughters, and bring them to me. 3 So all the people took off their earrings, and brought them to Aaron. 9 And Yahweh said to Mosheh: I have seen this people, and truly it is a very stiffnecked people! 5 It is not because of your Righteousness, or the uprightness and integrity of your heart that you are going in to take possession of their land; but, because of the wickedness of these nations, Yahweh your Father will drive them out from in front of you, and so He may perform the word which Yahweh vowed on oath to your fathers, to Abraham, to Isaac, and to Yaaqob. 6 Understand therefore, that Yahweh your Father is not giving you this rich land to possess because of your righteousness, for you are a stiffnecked people! Verse 5 shows these children—the twelve tribes, heads of Yaaqob—were the children of Abraham, Isaac, and Yaaqob. Verse 6 shows they were a rebellious people living in sin, being evil like the Gods. This same religion of Godworshipping Coptic Catholics, who called themselves priests, were trying to cause Yahweh’s People to forget the Name Yahweh in the days of Yeremyah, the Prophet of Yahweh. They did this by the threat of death. Remember what you read from Unger’s Bible Dictionary, “Lord is not a divine title”. Yahweh’s Prophet Micahyah also spoke of them. Remember Genesis 3:5, evil like the Gods. Did you notice they belong to Satan? Notice, Satan teaches Godworship; evil like the Gods. Verse 5 – evil as the Gods. I Yahchanan 3:8 says they belong to Satan. Catholics are Godworshippers, worshipping all Gods—the host of heaven. They even make war against the teaching of Righteousness. They were calling themselves Pharisees, Sadducees, Essenes and Herodians, but their fruits prove them to be Catholic, evil like the Gods. These same Catholics had a Roman army that stood on their part as they polluted The House of Yahweh, and called it ‘Temple’ in the days of Yahshua. Daniyl prophesied that they would fight against Yahweh and Yahshua. 42 Then Yahweh turned, and gave them (the Coptic Catholics) up to worship the host of heaven, just as it is written in The Book of Yahweh: Was it to Me you brought sacrifices and offerings in the wilderness forty years, O house of Israyl? Look back to verse 37. Read again the last part of Acts 7:43…“I will carry you away beyond Babylon”. The Roman army was owned and paid by the Pharisees, Sadducees, Essenes and Herodians. Titus was the Roman General the Pharisees, Sadducees, Essenes and Herodians used to do the evil of killing all those they could find who were Seventh Day Sabbath-keepers, used the Name ‘Yahweh’, kept Yahweh’s annual Feasts, or refused to eat pork. Yes, they tried to kill them all. 26 Then the captain with his officers went, and brought them without violence—for they feared the people might stone them. 28 Saying; Did we not expressly command that you were not to teach in this Name (Yahshua)? And behold, you have filled Yerusalem with your teaching, and intend to bring this Man’s blood upon us! 29 Then Kepha and the other apostles answered, and said; We must obey Yahweh rather than men. 30 The Father of our fathers raised up Yahshua, Whom you sacrificed by hanging on a tree. 31 Him, has Yahweh exalted with His right hand to be a Prince and a Savior, to give repentance and forgiveness of sins to Israyl. 32 And we are His witnesses to these things; and the Holy Spirit is also, which Yahweh has given to those who obey Him. 33 When they heard this, they were infuriated, and wanted to put them to death. Notice in verse 30, Yahshua Messiah you murdered. Yes, these same Catholic Godworshippers murdered Yahshua. Who? Notice, you! The answer is found in verse 27. Verse 27 is referring to the high priest of the Sadducees. Notice the high priest of the Sadducees actually governed, because they co-owned the Roman army and gave them their orders. It was the Pharisees, Sadducees, Essenes and Herodians, all Catholic Godworshippers, who murdered the Savior. Their fathers, with this same Roman Catholic army, persecuted the Prophets of Yahweh. This same Roman army stood on their part and took The House of Yahweh by violence. This was prophesied in 534 BY by Daniyl. The House of Yahweh and Yerusalem were prophesied to be destroyed and the Temple removed. In the year 70 AY, the Pharisees, Sadducees, Essenes and Herodians gave orders to their Roman army to murder all people who came to Yerusalem to celebrate the Passover Feast of Unleavened Bread, in worship of Yahweh, through Yahshua Messiah. The army removed the Temple, destroyed Yerusalem and took all the wealth to the seven hills of Rome. Notice this carefully. That Prophecy was written in 750 BY. The Pharisees, Sadducees, Essenes and Herodians made their complete move to the seven hills. They sent their Roman General, Titus, to remove the Temple, destroy Jerusalem, and plow Mount Zion like a field. To where did they take all the stolen wealth for which they murdered? To the seven hills of Rome, the same place they had built their strong, roving army that they used to plunder the world. Read now, the history of the mass murder of men, women and children in Yerusalem, in an attempt to get rid of Yahweh’s Righteousness. What is Yahdah’s agenda for the world in this generation? It’s bigger than ever. They should be able to cover Rome for years with the stolen wealth—gold, silver, etc.—they have acquired. It should take them years to carry all the wealth of 6 billion people to Rome. The following article excerpt is by Nate Brown. The solution mentioned by the panel … to bringing about ’sustainable development’ was presented by botanist and environmentalist Peter Raven during a press conference that concluded the “Biological Extinction” workshop which took place at the Vatican recently. The Book of Yahweh was also taken captive to Rome, and was not released to public view for over 1,500 years. That was due to the extreme hatred they had, and still have, for the Creator Yahweh, Yahshua Messiah, and Righteousness. Remember these were also known as the heads of Yaaqob, who always hated Righteousness. Yes, the heads of Yaaqob—Coptic Catholics now in Rome and known as Roman Catholics—who built and owned the roving, Roman army, did not want to retain Righteousness in their knowledge. So, Yahweh gave them up to an evil mind. The following article excerpt is from Life Site News posted Wednesday, February 1, 2017 at 4:35 pm EST. In reading, notice the hatred displayed for the Ten Commandments. In particular, Athanasius Schneider, auxiliary bishop of Astana, Kazakhstan, recently decried those clerics who wish to give Holy Communion to remarried Catholics living in adultery. He labeled them “Aaronic” priests who enable their flock to sin against the Ten Commandments, like the High Priest Aaron in the Book of Exodus, who built a golden calf to allow the Israelites to violate the first commandment. They hated and killed the Disciples and about a million people who had come to Yerusalem to keep Yahweh’s Feast. They had moved to Rome, to the seven hills, taking The Book of Yahweh with them. Later in Rome, The Book of Yahweh, including the Writings of the Disciples of Yahshua Messiah, were labeled as the bible, meaning books, and banned from use for over 1,500 years. In the 1600s, they were actually forced to allow those Writings, or versions of them, such as the King James Version, to be printed, but only with all Sacred Names removed. The Sacred Names were replaced with the titles of dead Coptic Catholics, dead rabbis and dead popes, etc. 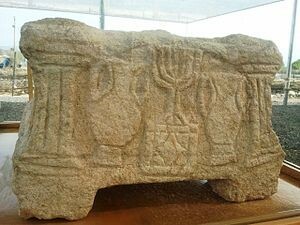 The Menorah—Seven Lamp Lampstand—that was taken to the seven hills of Rome by order of Yahdah (Gen. 49:1, 10), represents the seven Works of Yahweh. The Seventh Lamp is the work of two brothers whom Yahweh calls His Witnesses. In fact, He actually named them and testified of them in many Scriptures. The following Scriptures are just a few of the many. You need to get to know this finishing Work of Yahweh, the Western Lamp that never goes out. Read now, part of their Message for this generation. Verse 2 shows, as does the Hebrew, they are brothers of the same womb. From their Work, and a group of other workers and scholars, The Book of Yahweh was restored and made available to the public in the year 1987. I urge you to read the book, The Mark of the Beast, available for free through www.yisraylsays.com.